Sanofi Pasteur, the vaccines division of Sanofi, is the largest company in the world devoted entirely to human vaccines. Our driving goal is to protect people from infectious diseases by creating safe and effective vaccines. Our company distributes more than 1 billion doses of vaccine each year, making it possible to vaccinate more than 500 million people across the globe. Sanofi Pasteur offers the broadest range of vaccines in the world, providing protection against 20 bacterial and viral diseases. The Shift Manager (Component Pertussis Vaccine Manufacturing) is responsible for the production of component Pertussis (cP) including fermentation, harvest, purification,media, washing and sterilizing according to production plans and in compliance with cGMP. The incumbent is responsible for managing the daily acitivities of unionized staff in a cGMP facility in compliance with company policies. 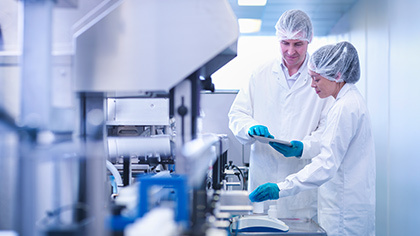 This includes responsibility for the schedulingand execution of all operations with adequate level of GMP documentation required to release the products. This includes adherence to SOPs, cGMP and HSE procedures. Ensures standards operating procedures (SOP) are current and adhered to and; ensures staff training records are complete and current. Ability to communicate and work with a very broad spectrum of professional and technical staff to effectively manage in an efficient and practical manner. Flexibility to plan and work with rapidly changing business needs and ability to troubleshoot and resolve as a subject matter expert. Min 3 years’ experience within GMP/pharma/manufacturing environment. Sanofi is an equal opportunity employer committed to diversity and inclusion. Our goal is to attract, develop and retain highly talented employees from diverse backgrounds, allowing us to benefit from a wide variety of experiences and perspectives. We welcome and encourage applications from all qualified applicants. Accommodations for persons with disabilities required during the recruitment process are available upon request.